Argentine marine biologist Dr Pablo Borboroglu is President and Founder of the Global Penguin Society (GPS), the world’s first global coalition for the protection of penguins. The fragile conservation status of most penguin populations mirrors the wider condition of the world’s oceans. 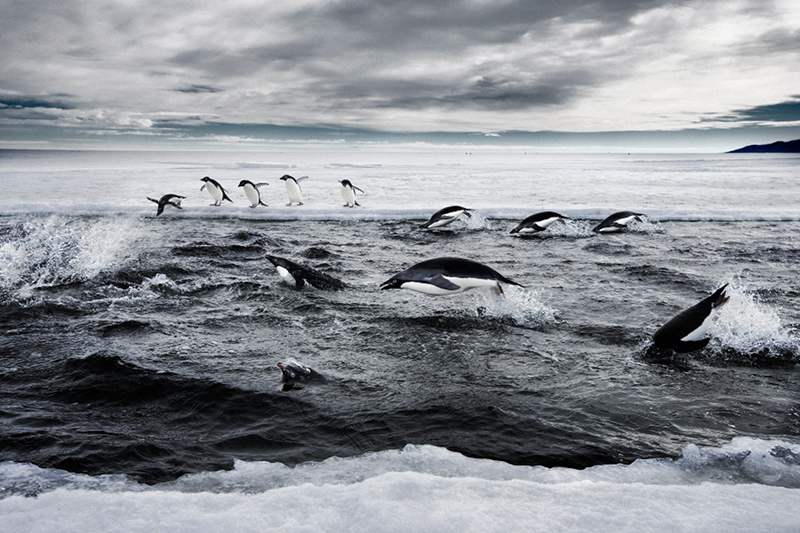 At sea, a host of threats including oil pollution, fisheries mismanagement, and climate change all affect penguins. On land, nesting penguins face irresponsible tourism, coastal development, and introduced predators. Today, 60% of the world’s 18 penguin species are listed as vulnerable or endangered by the IUCN. However, penguins are uniquely placed to foster public and political support. The aim is clear to Pablo: “People love penguins but they do not know about their fragile conservation status…. Increasing awareness internationally is crucial to help not only penguins but also the oceans on which we, and they, rely”. Pablo has more than 20 years experience in marine conservation and, from 2003 to 2005, led the first management plan for Punta Tombo in Argentina, the world’s largest Magellanic Penguin colony. 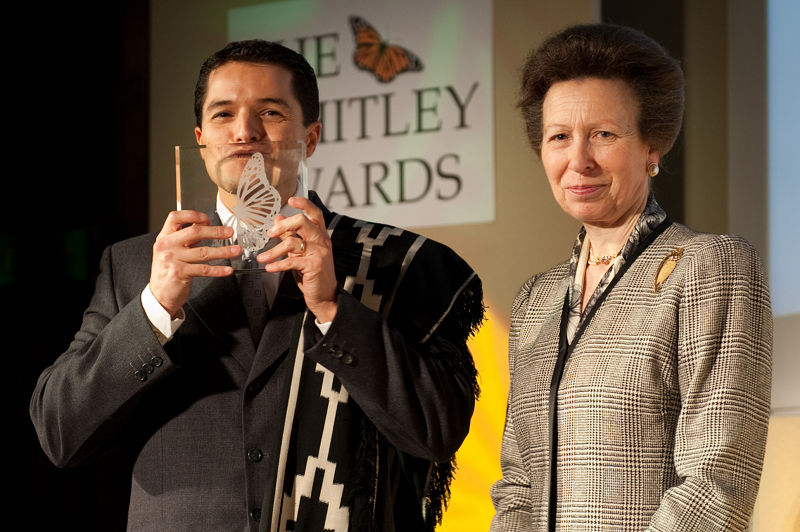 Pablo coordinated 130 stakeholders in the design and legislation of a 90,000 ha Marine Protected Area – an exceptional democratic event in a country of past dictatorial governments. Pablo has repeated the process in many other sensitive areas along the coast of Patagonia. Now Pablo is taking his mission global. GPS is promoting the protection of penguin colonies, and creating an alliance-building force with representatives from 16 countries, based on science, management and education. As well as a global update of penguin status, one of the main outputs will be the design of a global penguin conservation strategy that will be used to inform governments and ensure any conservation interventions are effectively targeted. Success rests on understanding that penguin conservation begins at the local level. In many countries where penguins occur, a large percentage of the population is impoverished and environmental issues are not considered a priority. Penguins are one of the main highlights of tourism in Argentina, and thousands of families depend on them. 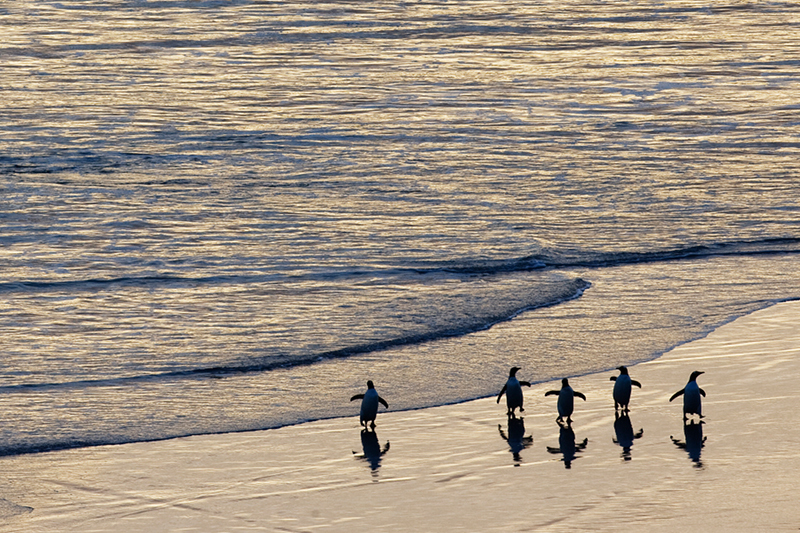 Pablo is now empowering local communities, imparting the skills they need to benefit from penguins without disturbance. Through the media, Pablo aims to engage larger audiences to catalyze action. “Through penguins we can make a long lasting contribution to the ocean, changing people’s attitude and perception toward the sea”.